Terrible news for Madrid fans and club as Portugal and Real Madrid Footballer Cristiano Ronaldo will be out with injury for 4-5 months according to reports coming out from Spain and Madrid. The striker who had to be stretchered off the field after just 24 minutes of play during the finals, had collided with French player Dimitri Payet and had to watch his teammates win EURO 2016 in extra-time without him. 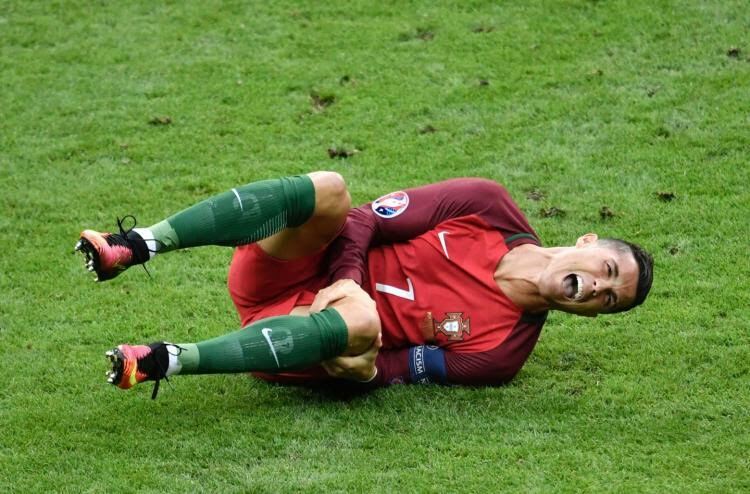 According to top Spanish media,Managing Madrid, the Real Madrid striker has suffered a partly torn ACL. The medical reports by doctors in France estimate that he could be sidelined for four or five months. If this report turns out to be true then he’ll miss the UEFA Super Cup clash with Sevilla on August 9th. He’ll miss a large chunk of the La Liga season as well as the group matches of Madrid’s Champions League defence. At 30 years of age, and having played some of the highest powered matches in recent football history, the three time world footballer of the year Christiano Ronaldo has given so much to the sport and will be missed greatly during his absence.